Bravado had a bit of an adventure last week while Mom was cleaning. She had just taken a manure bucket full of snow out of the boys’ paddock, and dumped it in the manure wagon. She decided the wagon was pretty full, so she hopped on the tractor and took it up to the manure pile. On her way back down the driveway, she couldn’t help but appreciate the view. 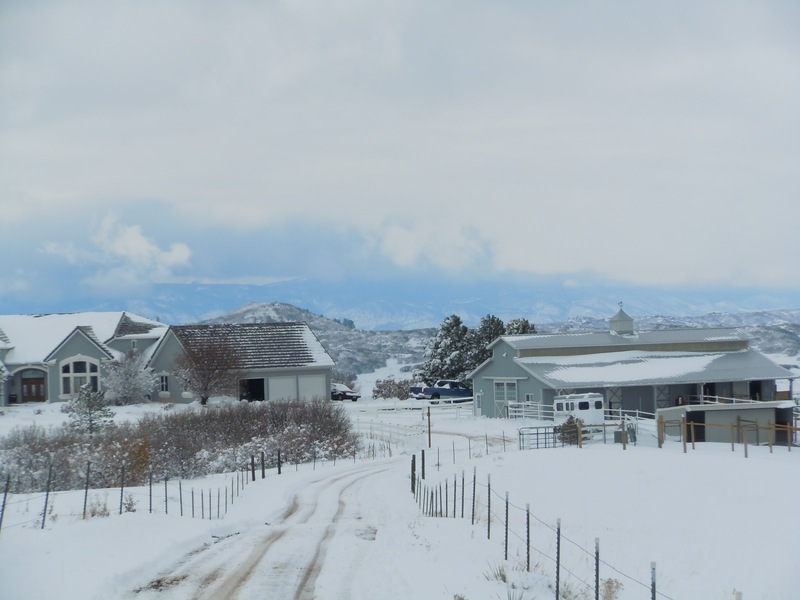 As Mom admired the idealic winter calm of the ranch, she had a “one of these things doesn’t belong moment”, and did a double take. Standing in front of the barn, looking around with a “where to next?” expression, was Bravado. He was still contemplating the wide open freedom of the driveway when Heidi, who was turned out in the arena, came over to the fence curiously. Bravado wandered over to chat with Heidi, and Mom kicked the tractor into high gear and began roaring down the driveway. Kubota-san, our tractor, has these adorable little pictures instead of numbers to represent the throttle speed, and Mom slammed the lever from turtle to rabbit. She bore down on him like some sort of vengeful angel riding a screaming orange tractor, and as soon as Bravado turned to look at her, he knew he was in for it. Without hesitation, he turned and ran back into the barn. Mom jumped off the tractor right on his heels, and then held her breath as he ran down the breezeway. The far door was wide open to let the sun in, and Bravado could have run straight through the barn and kept going. The door to the boys’ stall was also wide open, Mom thought she had locked them out in turnout. All three of the other boys were standing in a line inside the stall, looking out into the breezeway, weighing the fun of exploring against the obvious fact that it was against the rules. Bravado skidded around the corner and ran straight into his stall, and Mom slammed the door behind him. Mom had to laugh as she told me this story. Back when we boarded the horses, whenever one got loose, everyone would yell “Loose horse! Loose horse!” One loose horse tends to lead to more loose horses, as herding instincts take over, and it’s good to have that heads up. Throughout Bravado’s little adventure, what was running through Mom’s head was “Loose ‘paca! Loose ‘paca!” as if he could trample someone or something. 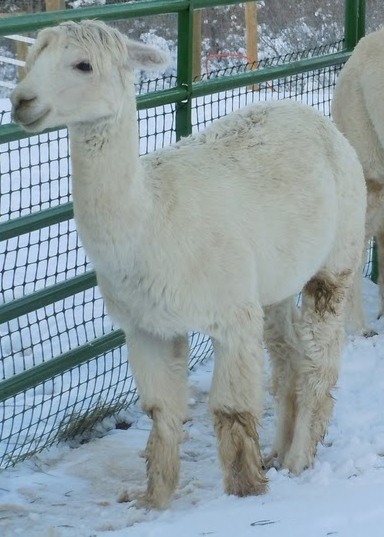 This entry was posted in animals and tagged alpaca ranch, alpacas, escape, gates, ranch life. Bookmark the permalink. Kirstin, Love reading your posts. You’re a great writer with a wonderful wit. Since I’m on this side of the fence I can get a good chuckle from your “adventures”. I’m sure, though, that on your side of the fence, things aren’t always chuckle-worthy at the time. A sense of humor is a good companion in life. Aww! Thanks! It is good to keep your sense of humor about such things…and it is always a bit easier a few days after the adventure. And I generally don’t hear about these things until long after they are resolved, thank goodness.